Okay *technically* spring break begins tomorrow, so I'm jumping the gun a little bit on this one, but after a long week nothing sounds better than chocolate, caramel, and something salty- all at the same time. That's what I set out to do, and I'm pretty pleased with the results! Preheat oven to 350 degrees. Pop cupcake liners into pan. Stir together dry ingredients. 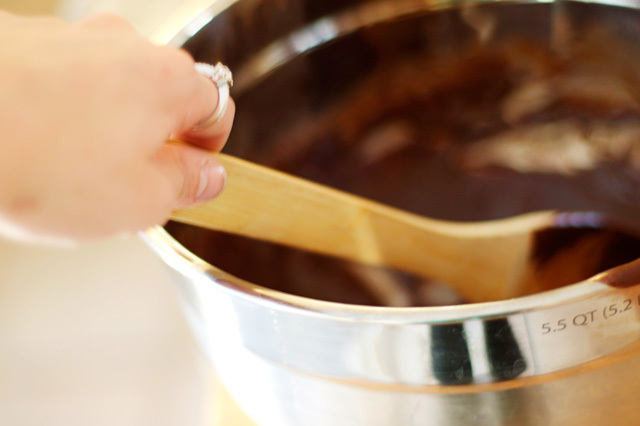 Add eggs, milk, oil and vanilla and mix for 2 minutes. Pour evenly into prepared pan. Bake 30 to 35 minutes. Let cool completely. Frost with a big glob of chocolate frosting. 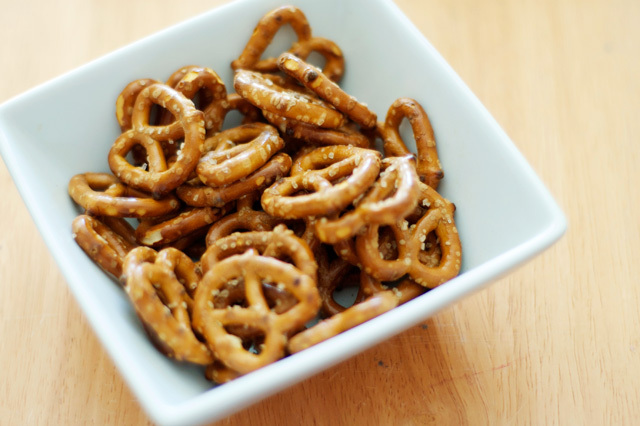 Crush pretzels to dip and round out the frosting. 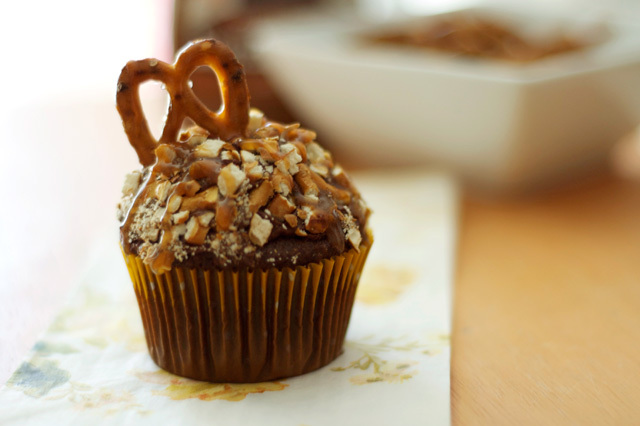 Embellish with a pretzel! Drizzle caramel syrup over the top. Fail all your midterms all week because you are so busy making/eating cupcakes. These look delicious! I have to try them this weekend. Oooo those look so tasty. Will have to make them when I'm home this weekend! Oh my, I love the new pretzel M&M's so I think these are a MUST, thanks for sharing!!! I'll just be bookmarking this post... yup. 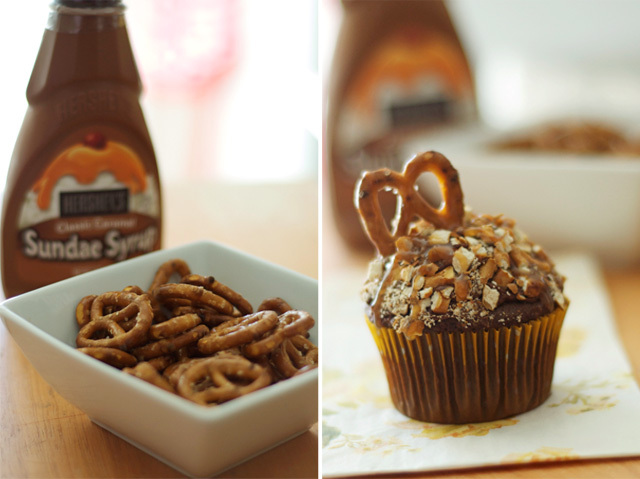 I love cupcakes, I really need to try making my own more often, and this would be a perfect place to start.